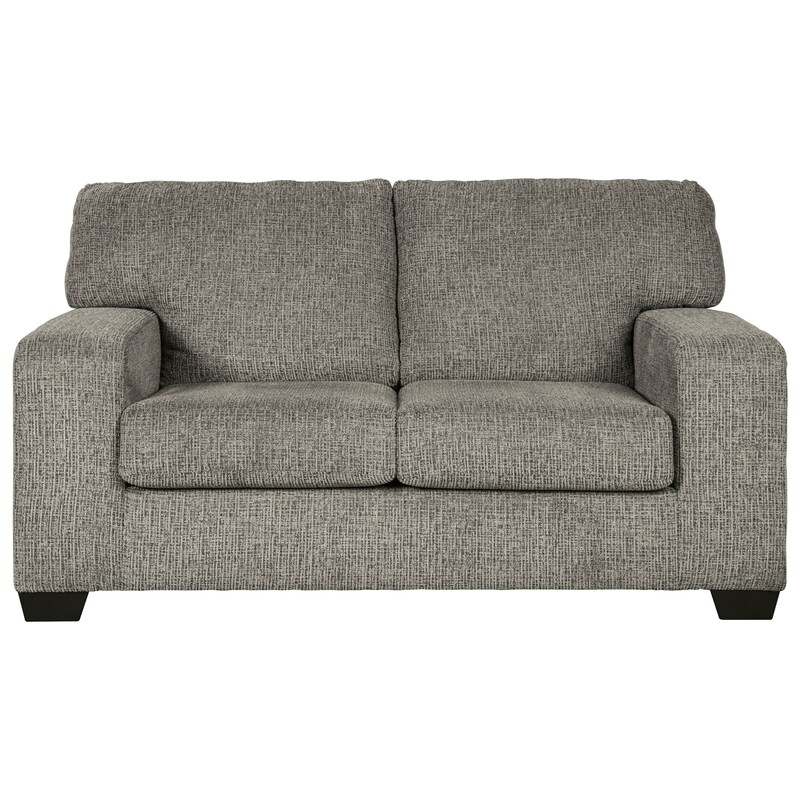 Textured gray fabric offers contemporary style to the loveseat with wide track arms. With this loveseat you will have a great neutral piece that can complement any decor, and from there you can accessorize it to make it your own. The Termoli Contemporary Loveseat with Track Arms in Gray Fabric by Signature Design by Ashley at Sam Levitz Furniture in the Tucson, Oro Valley, Marana, Vail, and Green Valley, AZ area. Product availability may vary. Contact us for the most current availability on this product. The Termoli collection is a great option if you are looking for furniture in the Tucson, Oro Valley, Marana, Vail, and Green Valley, AZ area. Browse other items in the Termoli collection from Sam Levitz Furniture in the Tucson, Oro Valley, Marana, Vail, and Green Valley, AZ area.